BARNSLEY fully deserved their point as they played out an end-to-end 1-1 draw at Preston. Brad Potts' first-half goal earned Paul Heckingbottom's men a hard-earned point. The Reds probably edged an enterprising opening period at Deepdale, but it ended all square. The visitors had a lucky escape after eight minutes when Jordan Hugill fired inches wide for Preston. Sean Maguire then headed straight at grateful Reds 'keeper Adam Davies. North End took the lead in the 23rd minute. Tom Barkhuizen swung over a sweet cross, which Maguire met perfectly and headed neatly into the corner. The Reds responded within three minutes, however. Adam Hammill curled in a low cross from the right flank, and Potts charged into the six-yard box to bundle home his first Reds goal. The Reds came agonisingly close to taking the lead minutes after the restart when Ike Ugbo was thwarted by a goal-line clearance from North End skipper Paul Huntington. At the other end, Davies had to be alert to keep out a brilliantly-struck 30-yard volley from North End midfielder Alan Browne. Midway through the second period the Reds almost went in front when sub George Moncur jinked inside and out before seeing a well-hit shot from 15 yards well saved by Chris Maxwell. Subs Harvey Barnes and Tom Bradshaw both missed late chances for the Reds, while 'keeper Davies brilliantly kept out Maguire's effort in stoppage-time. Preston (4-4-2): Maxwell; Fisher, Spurr, Huntington, Earl; Barkhuizen (Harrop, 68), Gallagher (Welsh, 68), Browne, Mavididi (Robinson, 76); Hugill, Maguire. Subs not used: Hudson, Vermijl, Horgan, Davies. 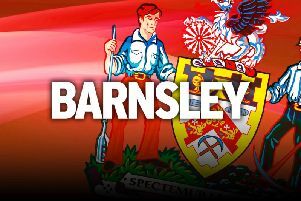 Barnsley (4-3-3): Davies; McCarthy, Lindsay, Jackson, Pearson; Williams, Gardner (Moncur, 65), Potts; Hammill (Bradshaw, 80), Ugbo, Hedges (Barnes, 68). Subs not used: Townsend, Pinnock, Thiam, Bird.